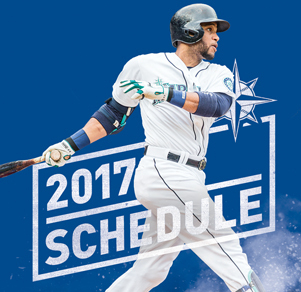 Catcher Mike Zunino is listed as the Mariners No. 1 prospect by Baseball America. The Mariners nine minor league affiliates wrapped up the 2012 season putting together one of the best season in club history, combining for a 496-406 (.550) record. The organization led all Major League farm systems in wins and winning percentage, while setting a new record for most wins in a single season. This has led to optimism in the Mariners pipeline, as Seattle has one of the best farm systems in all of baseball. Baseball America unveiled their annual Top 10 Prospects list ranking the top Mariners in the minor leagues. 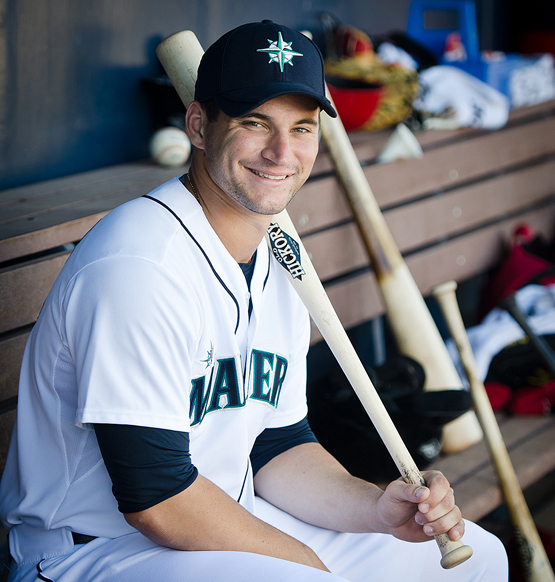 Catcher Mike Zunino, selected by the Mariners with the third overall pick in the 2012 First-Year Player draft, quickly established himself as an offensive and defensive force and was ranked by Baseball America as the Mariners No. 1 prospect. In his first professional season, Zunino hit .360 (58×151) with 35 runs scored, 14 doubles, 13 home runs and 43 RBI in 44 combined between Short-A Everett and AA Jackson. The Mariners had six pitchers ranked in the top 10, including five of the top seven prospects. For the second straight year, right-handed pitcher Taijuan Walker (#2) was tabbed as the Mariners top pitching prospect. In only his third professional season, Walker, 20, was one of the youngest pitchers in the Southern League and was also named to the North Division All-Star Team. Left-handed pitchers Danny Hultzen (#3) and James Paxton (#4), joined right-handed pitchers Brandon Maurer (#6), Carter Capps (#7) and Victor Sanchez (#10) to round out the Mariners top pitching prospects. After being in the minor leagues less than a year, Capps made his Major League debut on Aug. 3, 2012 and became only the third player from the 2011 First-Year Players draft to make his ML debut. Hultzen, Maurer and Paxton each ranked amongst the Mariners organization leaders in wins, ERA and strikeouts, while Sanchez at age 17 was the youngest player in the top 10. While the Mariners are known for their top pitching prospects, it was their offensive numbers that really stood out in 2012. Amongst all full-season minor league clubs, the Mariners affiliates finished in the top 5 in nearly every offensive category, including ranking first in hits, home runs, slugging percentage and on-base percentage. Infielders Nick Franklin (#5), Stefen Romero (#8) and Brad Miller (#9) joined Zunino as the Mariners position players in the organizations top 10 rankings. Romero was named the Mariners Minor League Player of the Year after batting .352 (167×474) with 85 runs scored, 64 extra-base hits and 101 RBI in 116 games combined between High-A High Desert and AA Jackson. Franklin was recently named to the Arizona Fall League Top Prospect Team, while Miller ranked second amongst all Minor Leaguers with 186 hits. Weather: Not a cloud in the sky during workouts as the temperatures hovered in the lower to mid-60’s. Quote of the Day: “Heads Up!” – Players and coaches yelled to General Manager Jack Zduriencik warning him after infielder Vinnie Catricala hit a scorching line drive that nearly hit the golf cart Jack was riding in. This following a shot down the line that almost took out a group of photographers. The Day: Day 5 was very similar to day 4, with pitchers taking PFP (Pitcher’s Fielding Practice), while half the pitchers had a throwing session in the bullpen. Starters Felix Hernandez, Jason Vargas and Blake Beavan threw their third bullpen session, while a crowd of coaches and media stayed and watched pitchers Stephen Pryor, Erasmo Ramirez, Danny Hultzen, Taijuan Walker and James Paxton throw in the bullpen as well. So far 60 of the 66 players invited to Major League camp have been spotted around the complex. The position players will officially report tomorrow for physicals, while the first full squad workout is on Saturday. Infielder Vinnie Catricala impressed many of the coaches during his BP session this afternoon. Besides nearly taking of the GM and half the photographers watching, he was hitting the ball all over field. Looks like he is picking up exactly where he left off at the end of last year. 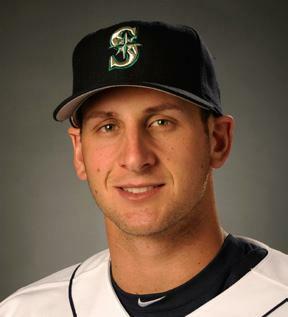 Catricala was named the Mariners Minor League Player of the Year in 2011, after hitting .349 (182×521) with 101 runs scored, 77 extra-base (2B – 48, 3B – 4, HR – 25) and 106 RBI in 133 games combined between A High Desert and AA Jackson. Among full season minor leaguers he ranked 2nd in extra-base hits, 3rd in hits, T3rd in doubles, T4th in batting average and T9th in RBI. Carlos Peguero wins the award for longest drive of the day. He launched a mammoth shot that hit the 32-foot-high batter’s eye in center field 410-feet away to highlight BP. Not sure if the ball bounced back to the field or got stuck in the chain-link fence. A group of 35 of the Mariners top Minor League players are in camp today for physicals to take part in the team’s annual mini camp for many of top lower-level prospects. The first workout for mini-camp players is tomorrow and workouts will run through March 1. Mini-camp is an opportunity for players to receive one-on-one instruction from the coaching staff and work on improvement plans for Spring Training and the rest of the 2012 season. Among players taking part in the mini camp are highly regarded prospects right-handed pitchers Victor Sanchez and Carter Capps, catcher Marcus Littlewood, infielders Brad Miller and Cavan Cohoes and outfielders Guillermo Pimentel, Phillips Castillo and Jabari Blash.